When will RedZone Receiver support Windows Drivers? What radio frequencies does RedZone Receiver operate on? Airwavz RedZone Receiver can access any frequency 50 MHz to 1 GHz, and cover just beyond TV Channel 83. All of Airwavz television receivers support 50 MHz to 1000 MHz (up to 1GHz), in the full VHF and UHF spectrum. Over-the-air television channels are divided into two bands: the VHF band which comprises channels 2 through 13 and occupies frequencies between 54 and 216 MHz, and the UHF band, which comprises channels 14 through 51 and occupies frequencies between 470 and 700 MHz. 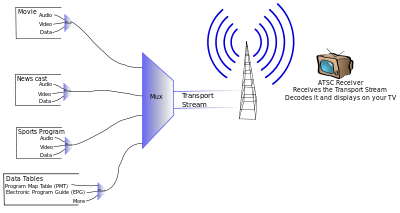 These bands are different enough in frequency that they often require separate antennas to receive, but the RedZone Receiver covers the entire VHF and UHF TV bands. The VHF band is further divided into two frequency ranges: VHF low band (Band I) between 54 and 88 MHz, containing channels 2 through 6, and VHF high band (Band III) between 174 and 216 MHz, containing channels 7 through 13. The wide spacing between these frequency bands is responsible for the complicated design of rooftop TV antennas. The UHF band has higher noise and greater attenuation, so higher gain antennas are often required for UHF. What are the technical specifications of RedZone Receiver? What is RedZone Receiver™ ? RedZone Receiver™ (RZR for short) is a small, portable USB hyrbrid ATSC 1.0 and ATSC 3.0 television receiver. This is Airwavz.tv first ATSC 3.0 product in our portfolio, and is a professional grade testing tool designed to help TV broadcasters launch and quickly deploy ATSC 3.0 packet data UHF and VHF commercial television service. RZR is intended to be used by software developers, RF engineers, field engineers, LPTV and Class A station owners, television broadcasters and executives who are showcasing the features and benefits of ATSC 3.0 to investors, press, policy makers and to help inform the public. How do I use RedZone Receiver? RZR fits easily into a standard PC or laptop USB port and is an ideal first-generation hybrid ATSC 1.0 & 3.0 solution to see the new UHF & VHF packet data network live and on-air. Currently supported on Linux, we are targeting support for Windows and Mac in Q2 2019. 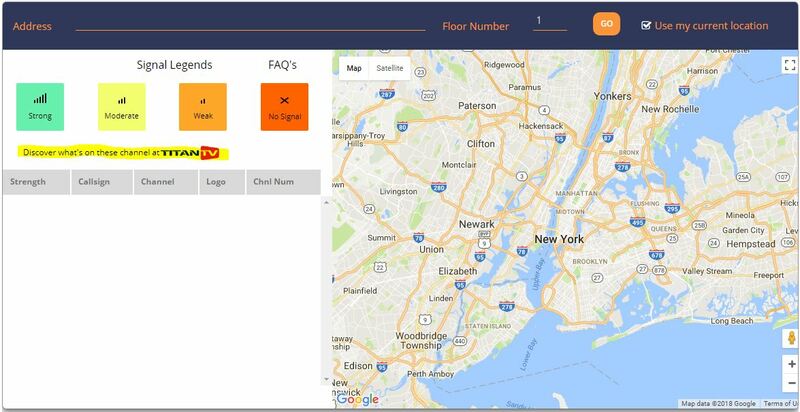 Contact us if you have an interest in using RedZone Receiver in a different application. What’s in the RedZone Receiver Kit? These are the accessories and software you get with the RedZone Receiver™ Kit: Visit RedZone Receiver Kit Shop for product details. How can I give you feedback or product suggestions? Happy to hear from you! Use the Contact Us page to send us email. How can I buy RedZone Receiver? It’s so easy! Airwavz sells and ships RedZone Receiver directly to you, anywhere in the world. 3. Not sure yet if you want to buy RedZone Receiver? Add it to your Wishlist! What kind of TV coverage can I expect to get? 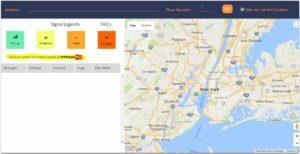 Airwavz custom TV Coverage Tool gives you an immediate view of all the TV Towers, Stations and Channels you can access with RedZone Receiver. Our custom TV Coverage tool supports Mobile ATSC 1.0 today with an embedded TV antenna. We anticipate having a coverage map that includes ATSC 3.0 coverage when TV towers are upgraded and the TV channel repack is complete. Where Can I use RedZone Receiver? RedZone Receiver is a professional grade test tool intended for the rapid deployment of ATSC 3.0 service currently underway in the United States. What is an ATSC TV tuner? An ATSC (Advanced Television Systems Committee) tuner, often called an ATSC receiver or HDTV tuner. is a type of television tuner that allows reception of digital television (DTV) channels transmitted by television stations all over the world that use the ATSC standards. Such tuners may be integrated into a television set, VCR, digital video recorder (DVR), or set-top box that provides audio/video output connectors of various types. Why are there no TV broadcasts on channel 1 or 37? Channel 1 was deleted in 1948 to be used for two-way land-mobile-radio systems, while Channel 37 is reserved for radio astronomy. Where can I find the documentation for the Airwavz RedZone Receiver SDK? Documentation on how to use the SDK with Airwavz RedZone Receiver™ is included as a read-me file in the SDK software download itself. The SDK is free to download by adding to the Re-Download SDK to your Cart, and completing the Check-Out for free. Your account will automatically be created, and the SDK is immediately available for download. To find the SDK in your account login to “My Account” and select Downloads. 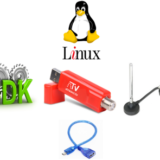 What versions of Linux are supported by the Airwavz RedZone Receiver SDK? We currently test and support 64 bit versions of Ubuntu 16.04 LTS on x86 platforms. Does the Airwavz RedZone Receiver support operating systems other than Linux? From a hardware prospective the RedZone Receiver can be connected to any device with a standard USB 2.x or USB 3.x port. This includes devices based on Android, Android TV, Windows, Linux and MAC Os. Software support for the Windows operating system will be available May 1 2019. If you have a need to license our software in volume, please contact us.